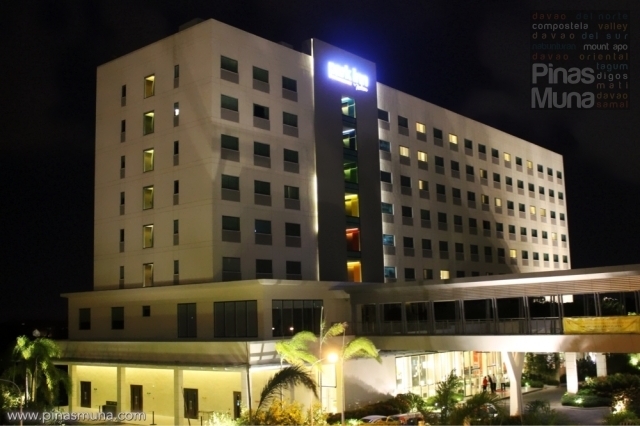 Park Inn by Radisson Davao is a 204-room eight-storey mid-range hotel in Davao City, southern Philippines. It recently opened last March 2013, making it one of the newest hotels in the city located right beside SM Lanang Premier Mall and SMX Convention Center. 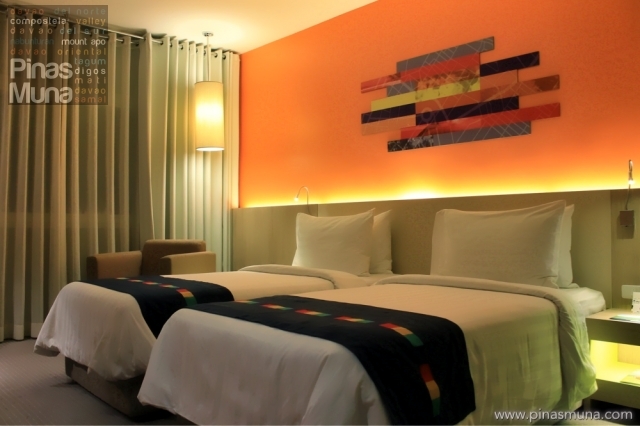 Owned by the SM Group and managed by the Carlson Rezidor Hotel Group, Park Inn by Radisson Davao features modern, clean, vibrant, comfortable and affordable accommodation designed for business and leisure travelers. 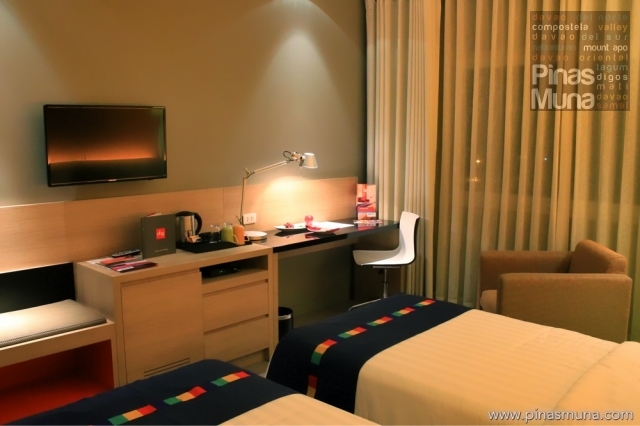 It was with great excitement when we traveled to Davao City last August 2013, not only because we would be experiencing Kadayawan Festival for the first time, but also because we would also be spending our last night in Davao at Park Inn by Radisson. When we arrived at the hotel, the first thing that we noticed was the friendliness of the hotel staff, from the security staff at the hotel entrance to the receptionists at the front desk, everyone was wearing a pleasant smile. Checking in was very efficient. 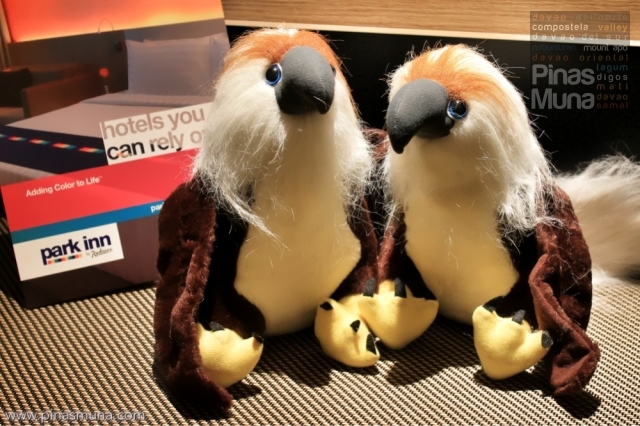 When we entered our room, we were greeted by two Philippine Eagle stuffed toys. 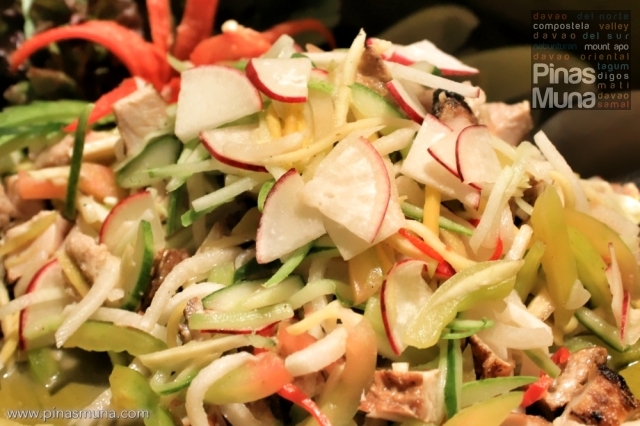 We instantly felt the signature Filipino hospitality at Park Inn Davao. We stayed in a Standard Room which measures around 24 square meters. It had two queen-sized beds clad in clean white linens. The comforter smelled fresh and so did the comfortable pillows. 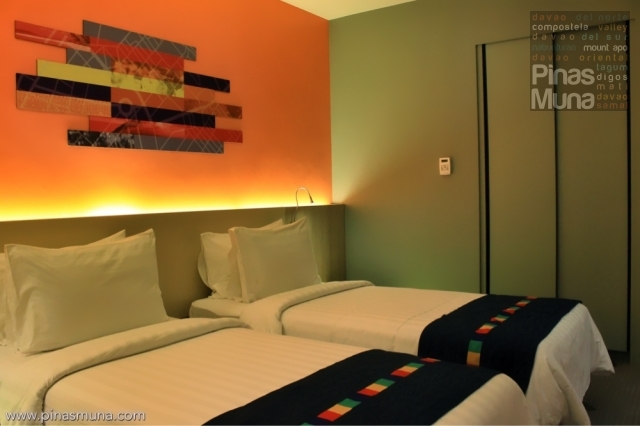 Very notable were the bed runners in Park Inn's signature colors, which, together with the color palette of the interior, gave the room a very vibrant feel. Our room was equipped with a cable-ready LCD television, a personal refrigerator, an electronic safe, and coffee & tea maker sets. Air-conditioning inside the room was perfect as the temperature was very easy to regulate. My favorite part of the room was the workstation. The table was very spacious and it had a desk lamp. High-speed WiFi Internet was also provided in each room so we were able to stay connected during our stay at the Park Inn Davao. 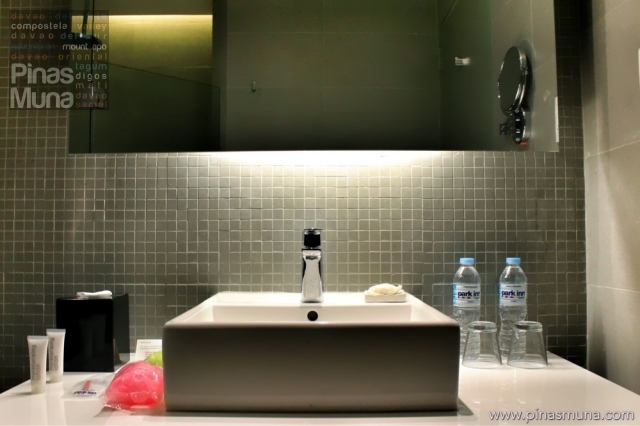 The modern theme of the hotel was also expressed inside the spacious bathroom. We liked it that they chose grey tiles highlighted with oranges and yellows which gave the bathroom a contemporary-industrial look. We also loved the toiletries provided, especially the Dove® shower cream. The towels also smelled clean and fresh. Water pressure was excellent, most importantly at the shower. The rain shower was always a delight! The hotel's leisure facilities include a swimming pool, a fitness center and a pool bar. The hotel also has facilities to host meetings and other functions. They have four meetings rooms with each room can accommodate up to 45 guests. RBG (which stands for Restaurant Bar & Grill) is an all-day dining restaurant located at the ground floor of Park Inn by Radisson Davao. 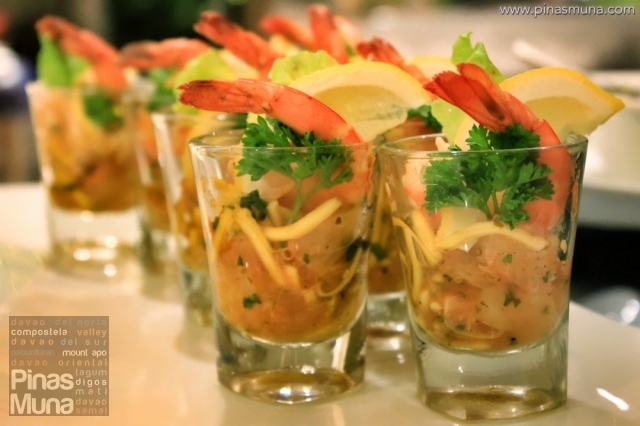 The restaurant also wears the modern theme of the hotel, paired with great food and top quality service. 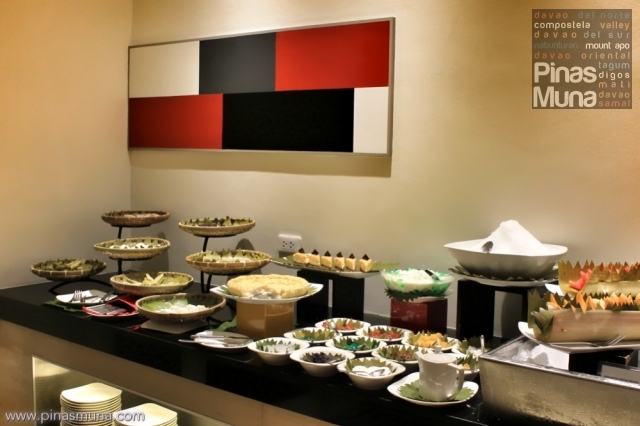 Checked-in guests enjoy their complimentary breakfast buffet at this hip restaurant with a selection of Filipino and Western cuisine. 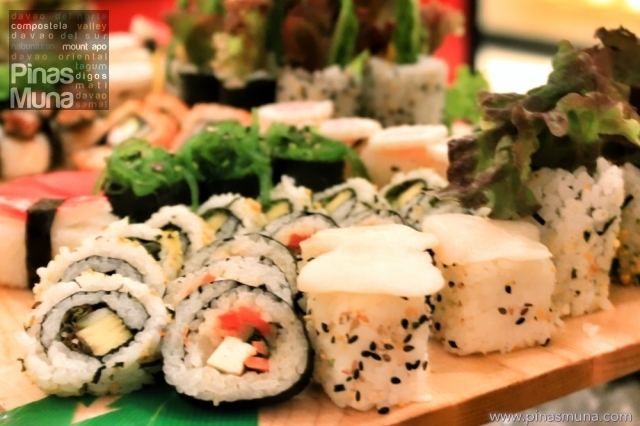 RBG also serves a themed lunch buffet (P595 net per person) from Monday to Friday featuring cuisines from around the world. 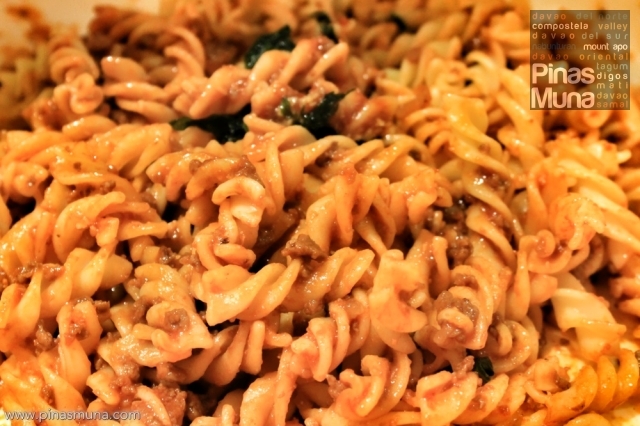 From Asian to American, and from Mediterranean to Italian, RBG will give you a culinary tour of the world through its sumptuous dishes. 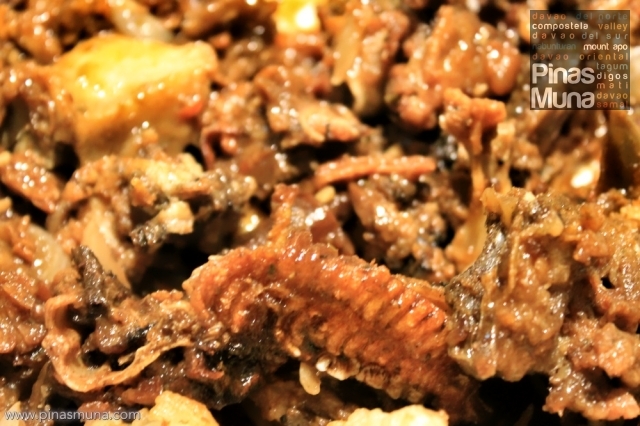 And on Fridays, RBG showcases our very own Filipino cuisine on its buffet spread. 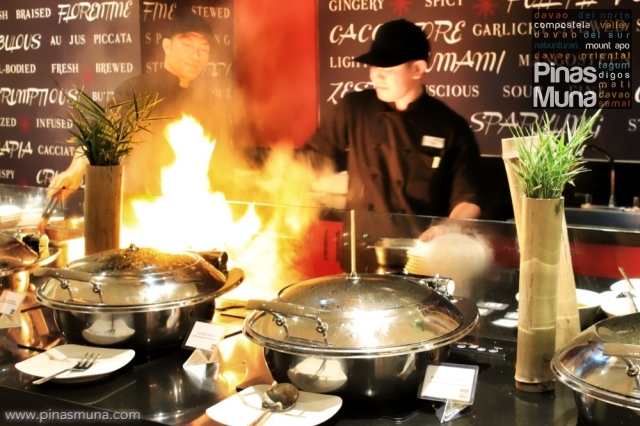 During weekends, RBG's grills take centerstage as the restaurant serves both lunch and dinner buffets of prime meat and seafood cooked fresh from the grill. 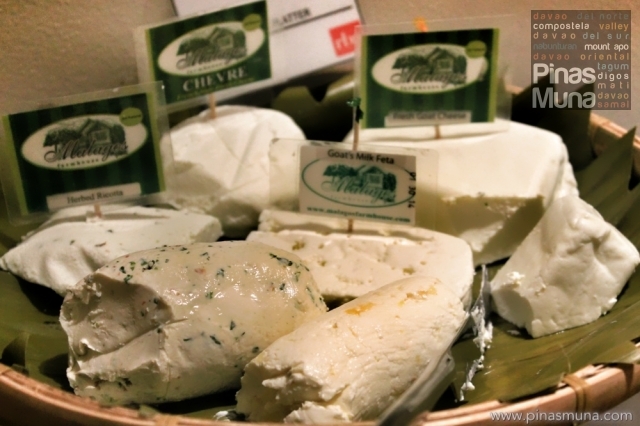 There is also a wide selection of appetizers (including Davao's very own Malagos cheeses), salads, sushis, pastas, other hot dishes, and a variety of dessert including durian cheesecake, buko pie, halo-halo and fresh fruits. 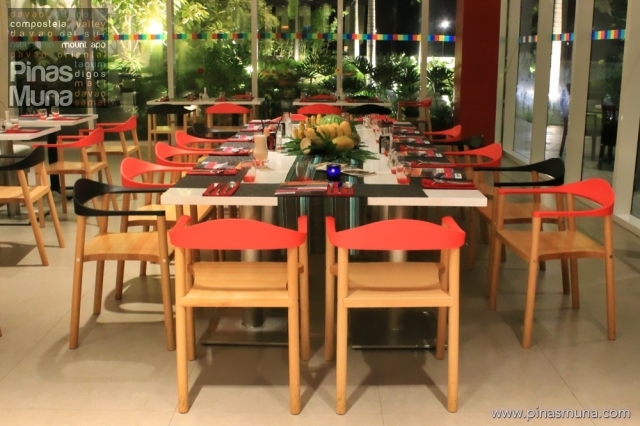 Overall, we enjoyed our stay at Park Inn by Radisson Davao. We truly loved its modern interiors, the comfortable beds, and the clean bathroom. The location is perfect for business and leisure travelers who are looking for relaxation. We also loved the convenience of having a mall nearby and the accessibility of the airport located just 15 minutes away. Lastly, the excellent customer service completes this awesome experience. 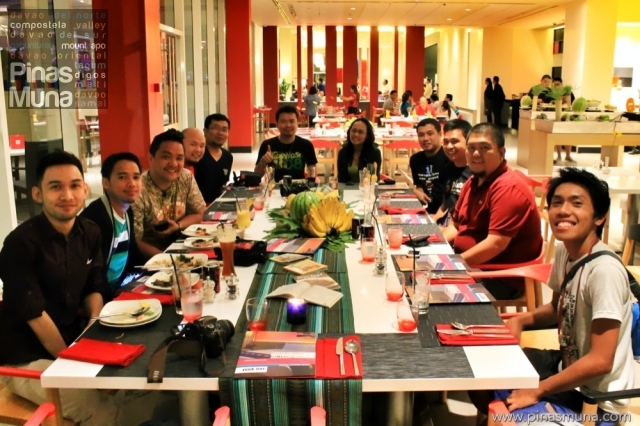 We would like to thank Park Inn by Radisson Davao for hosting us and for making our Kadayawan 2013 a very memorable one. nag reunion pala talaga kayo. sure ko na dami niyong kinain ba dahil sa sobrang pagod. hehehe. Nice ed and ramil.:-). Favorite ko rin yung working area. Bihira sa mga hotels ang may desk lamp.